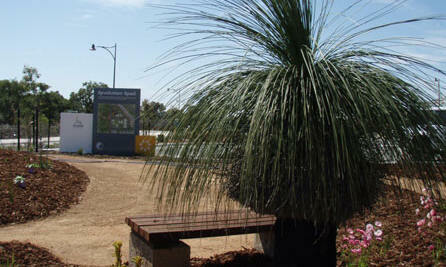 These two gardens have been commissioned by Landcorp and Landcare Solutions (The group who run the Great Gardens program) as demonstration 'sustainable gardens'. 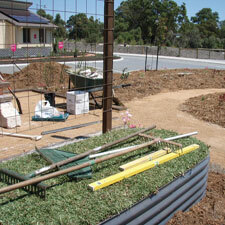 The gardens are part of the Revolution Road development which showcases alternative-building display homes and ideas. 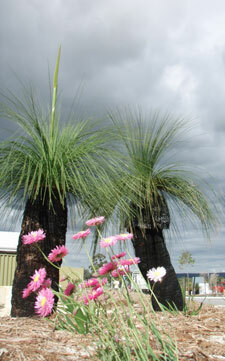 Come and take a look - It's an eye opener! 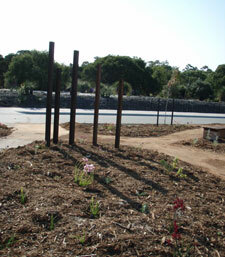 The gardens contain mostly native plants with natural materials being well used throughout the installation and construction of the landscape. 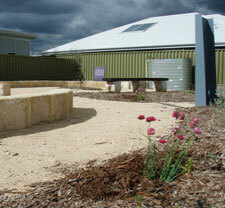 These include natural limestone blocks, compacted limestone & road-gravel paths and recycled timber and railway sleepers. 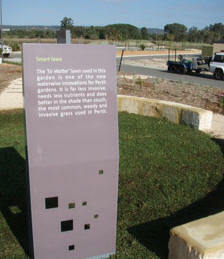 The gardens were designed by Cherise Haslam (Garden Deva) who has a strong background in sustainable garden practices and design.